I completely forgot to announce the winner of last week’s giveaway on Friday!! 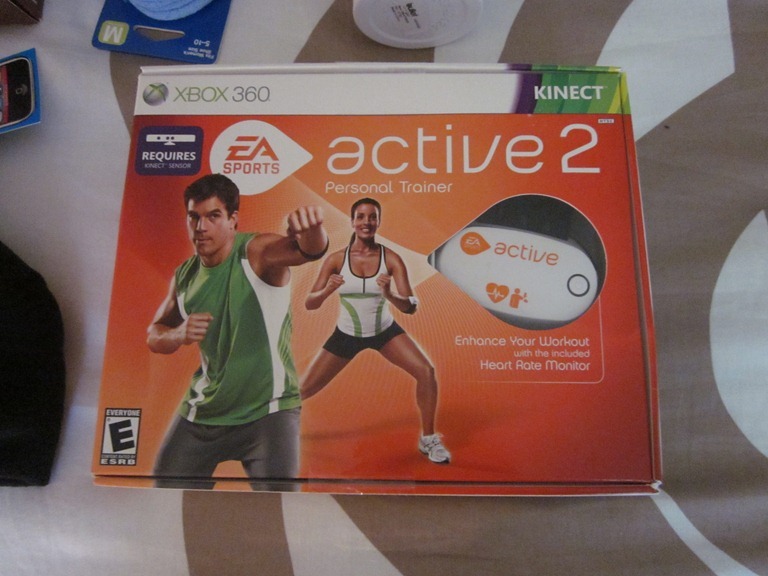 I entered 1 through 299 into random.org and it came up with #118 – Katie, who said “I would love the Zumba DVD and of course the food coupons!” Katie – please email me your mailing address so I can get the goodies out to you! This weekend I stayed away from modern technology the most I have in a looong time. I barely had my phone with me, didn’t check my email, didn’t take many photos, and didn’t blog or go on the computer for most of the three days. It was the first time in a long, long time that I spent so much time unplugged and I have to say – it was quite refreshing! 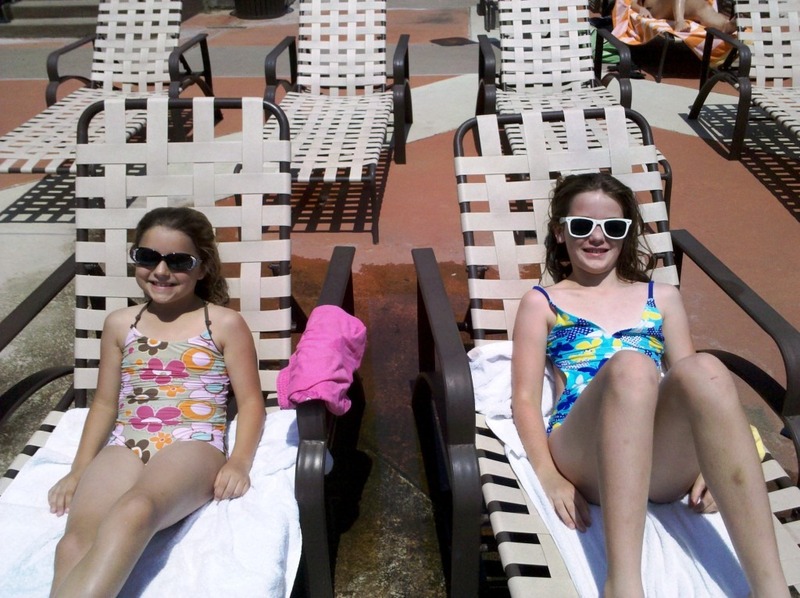 The weekend itself was the perfect mix of relaxation and fun in the sun. Friday night I had a work happy hour where I had one too many drinks, but I ended up waking up Saturday and cranking out 45 minutes on the elliptical first thing. I got a manicure/pedicure a little later in the day and then met my friend Amber for sushi. We both biked there and then back to my house, for 10 miles total – not too bad! Those two workouts were the only ones I got in all weekend, but that’s OK. 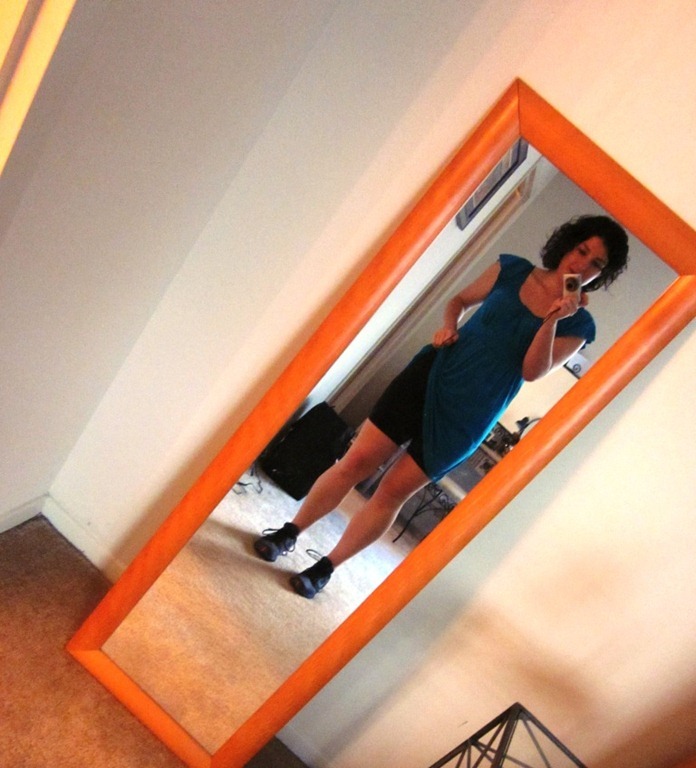 I put together a pretty ridiculous outfit for biking to sushi, but it totally worked. Bike shorts underneath a cute summer dress with my black easy tones. I switched into flip flops when I got to Café Asia, but I felt a little silly while riding my bike in a summer dress. I did wear a helmet too – don’t worry! 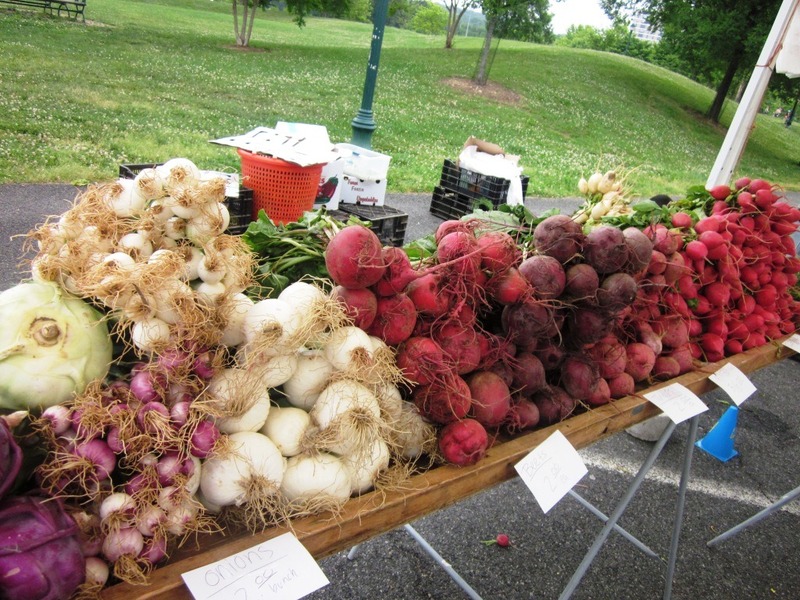 Sunday morning I headed out to a new-to-me farmer’s market in Alexandria – the Mount Vernon FM. It was super cute and I’m loving all the spring fruits and veggies that are finally coming around. 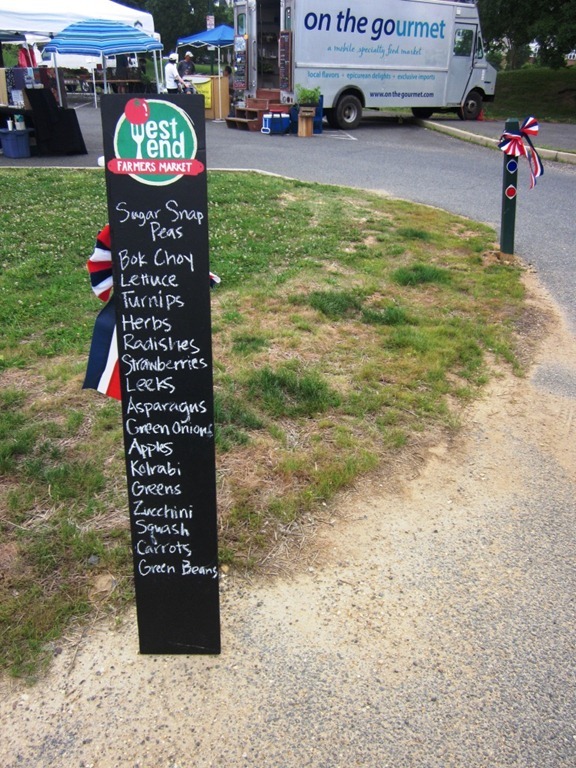 I ended up walking away with kale, mixed greens, green beans, farm fresh eggs, squash and strawberries for $22. The strawberries were $5, and totally not worth it in my opinion. They barely lasted the day and were a little on the soft side. I think it’s a little late in the season for them – oh well! Wil’s daughter Charlotte and her sister Nora were with us for all day Sunday and Monday, so we spent most of the daylight hours hanging out by the pool. It was SO hot both days but especially yesterday, so most of the time was actually spent in the water – except during “adult swim” when the kids weren’t allowed in the water which is when I snapped this photo. We also had a few friends over yesterday for some grilling and pool time, but it was pretty low key and I didn’t even take any photos! Kind of crazy how quickly this weekend went by even though there was an extra day – I really need a vacation!! Tell me… what was the highlight of your Memorial Day Weekend? And – do you tend to “unplug” on the weekends, or usually keep up with technology, phone and email? I usually spend less time than I do during the week, but most weekends I do check my email, read blogs, have my phone with me, etc. Before I get into maintenance, I have something exciting to share. Last year for Valentine’s Day, Wil bought me a beautiful work dress from Ann Taylor – something nicer than I’d ever buy for myself. It was a size 8, and while I loved the way it looked on the hanger, it did not fit at all in a way that it would be appropriate to wear the office. I tucked it away in the back of my closet, dubbing it my “goal dress,” but unsure if ever the day would come where I could actually wear the dress and look decent in it. Fast forward to yesterday, and as I was wandering around my apartment getting ready, I spotted the dress tucked away behind several other dresses. I hadn’t tried the dress on since I got it last year and realized I should give it a whirl just to see. As I slipped it on and (awkwardly) zipped it up, I almost shrieked with excitement. It fits! Now that that’s out of the way, let’s talk maintenance. So far, it’s going really great! I explained the way maintenance works on Weight Watchers in this post in case you’re unfamiliar, but basically its exactly the same as the regular program, except you get 6 extra pointsplus per day. My goal weight is 164, which I picked only because its the top of the range for a healthy weight for my height. This means I have to stay between 162 and 166 for six weeks, and then I get to have the highly coveted status of Lifetime Member. Once I’m Lifetime, I’d like to lose a few more pounds and get between 155 and 160 (I think), but I won’t be in a rush to get there. My first time hitting goal, I weighed in at 162.6, so 1.4 under goal. After one week on maintenance I weighed in at 162.0, so down .6. After week two of maintenance (yesterday morning), I weighed in at 161.8, so I put my greek yogurt on the scale, stepped back on, and was 162.0. No joke. So I guess you can say maintenance is going quite well. What have I been doing differently? Not much to be honest! I’ve been eating slightly bigger breakfasts and lunches, usually having around 15-20 pts+ total during the day before I leave work. I’ve been sticking to 35 pts+ a day, and I am LOVING that. It feels like a lot to be eating, and I kind of wish I had realized that I could up my points to 35 each day while I was losing, and then still have 19 extra weekly points to work with. I haven’t felt deprived at all and have made room for a treat every single day, usually in the form of dark chocolate, frozen yogurt, or gelato. I took the weekend at Fitbloggin’ off from counting points just because it was hard to do when I wasn’t cooking, and I got home weighing about the same, so I consider that a success. I’ll keep you all posted as I finish out the next four weeks on maintenance, but so far, so good! Do you tend to keep clothes that are too big or too small for you, or do you get rid of them right away? When I was losing weight, I got rid of clothes immediately when they were too big, but I did hold onto the clothes that were too small as I regained the weight the second time. It was good to have those clothes because I felt like I had something to work towards, but I know some people don’t like to have anything in the house that’s too small for them. When I saw that tilapia was on sale at The Teet for $3.99 a pound, I knew I had to have it. 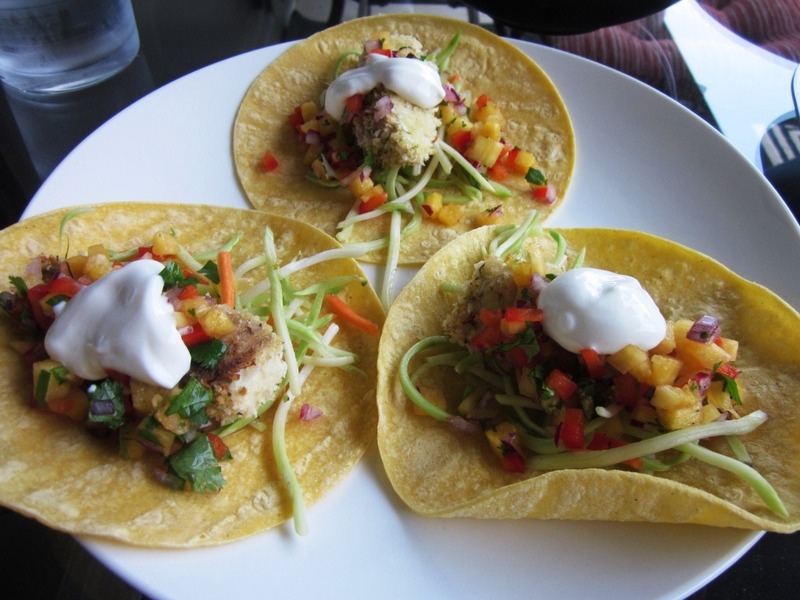 We’ve had a major heat wave here in DC, so I wanted to come up with a dish that was light enough that it could be enjoyed outside out on my balcony, and these fish tacos did the trick! The fish tacos were substantial enough to keep me full, but light enough to be enjoyed in the heat. The worked perfectly with the pineapple salsa and crunchy broccoli slaw in lime juice, and looking at these pictures makes me want to eat them again now! Fruit salsas are one of my favorite things to whip up in warmer weather because they are loaded with flavor, but so good for you and versatile. 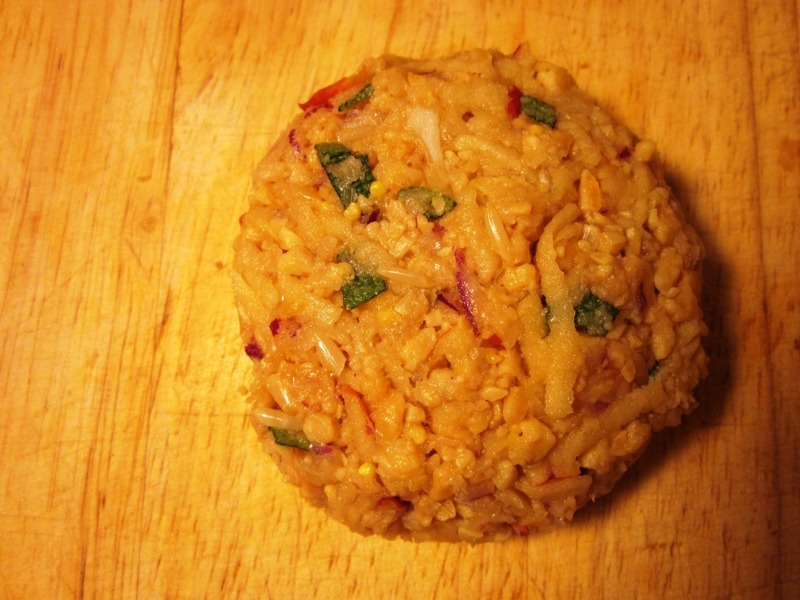 Delicious, simple, and cheap? Yes, please! 1. 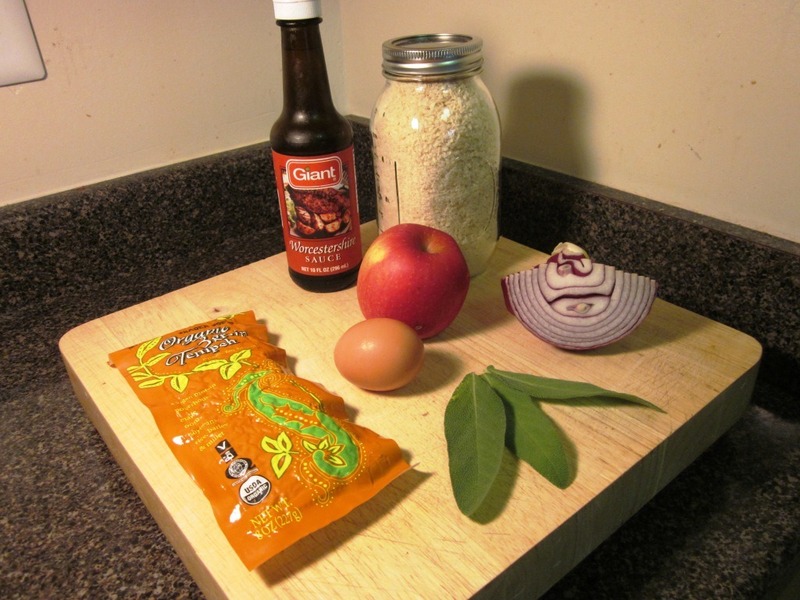 Add first four ingredients to a bowl. 2. 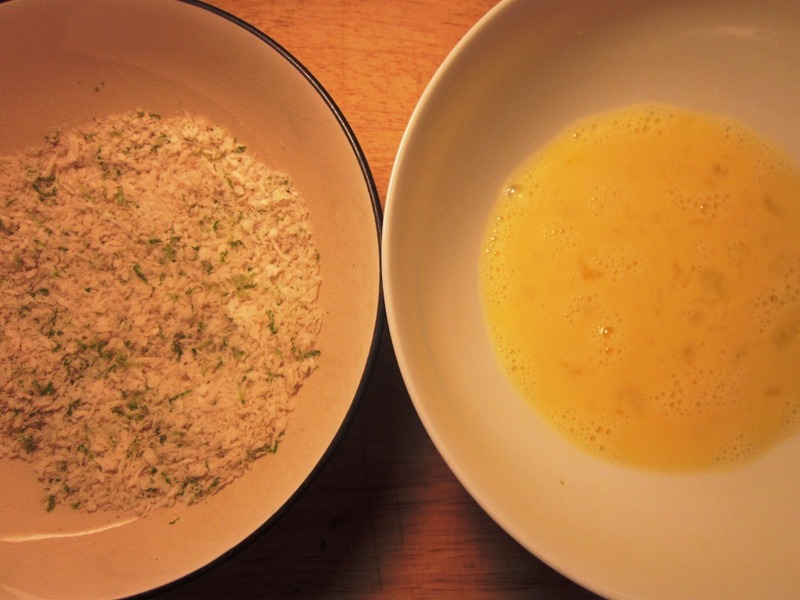 Stir to combine, then squeeze the lime juice over the top and mix until combined. Colorful, delicious, and super versatile. You can use this on chicken, pork, black beans, a salad, with chips, fajitas… you name it. 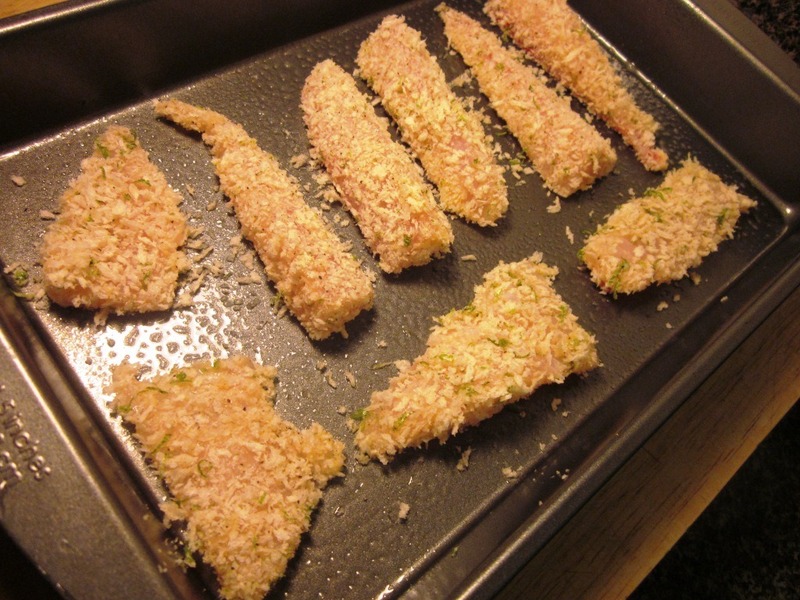 To start, preheat your oven to 400 degrees, before getting your breading ready to go. 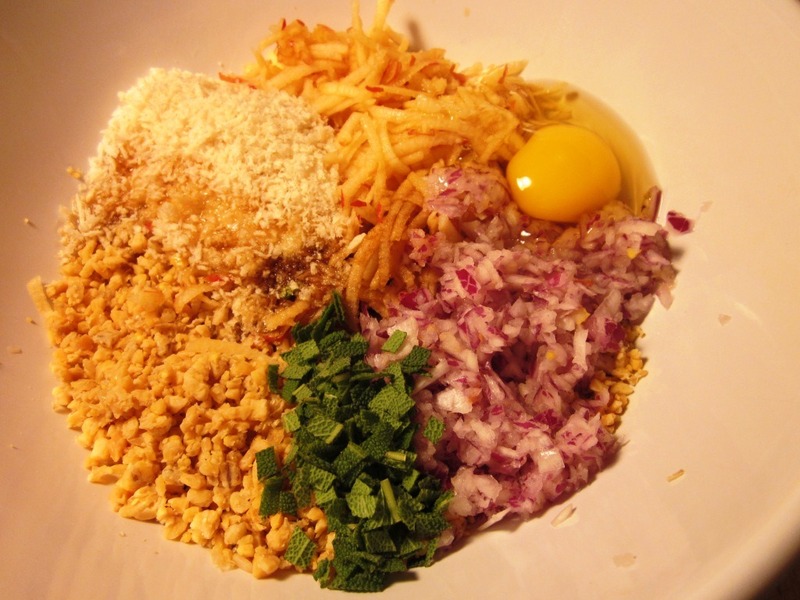 Beat the egg in one bowl, and then add the panko crumbs and seasoning to another bowl. 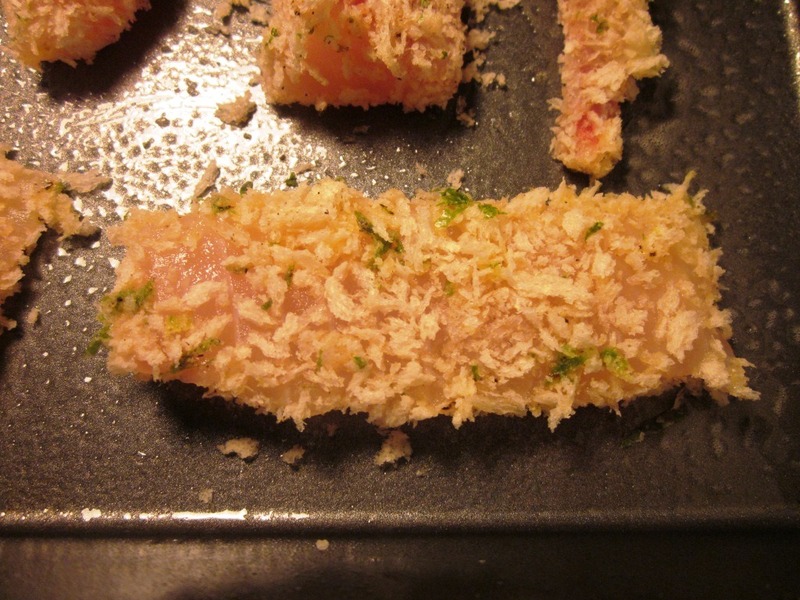 For the panko crumbs, add salt, pepper, and the zest of one lime (perhaps the lime you use in the salsa above! make sure you zest it BEFORE you juice it though). 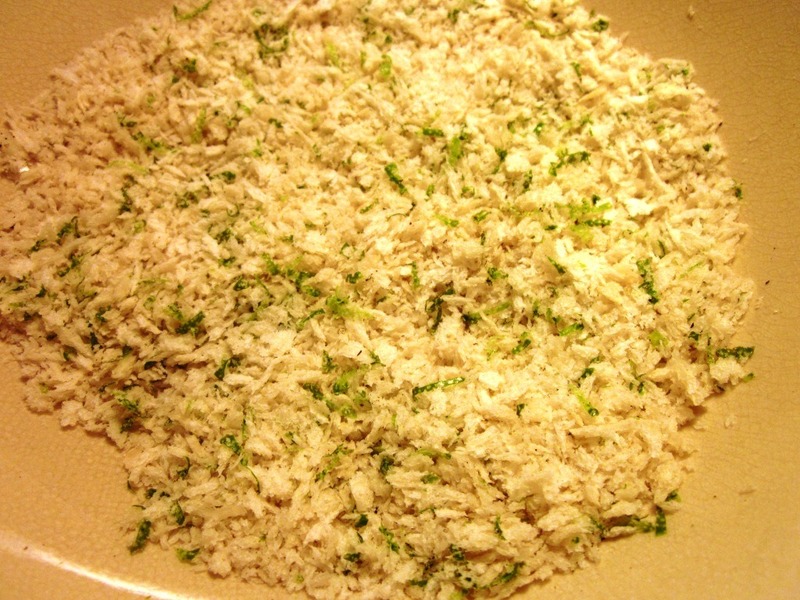 The lime zest gives it more color than flavor, so you can add some lemon zest too if you want it citrusy. 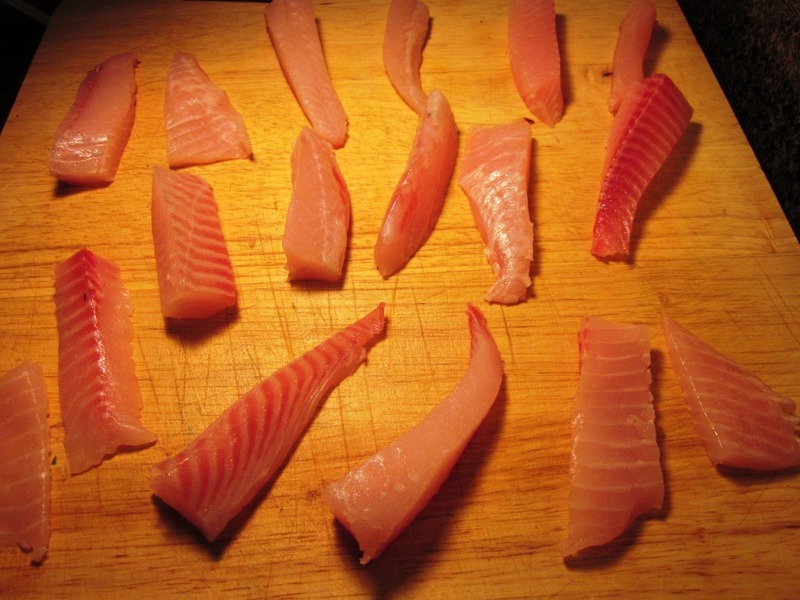 Once those are ready to go, cut the tilapia up into similarly sized pieces as best you can. I know some people say to do each piece one at a time, but I just put all of the tilapia pieces into the egg bowl and mixed it around until they were evenly coated and it worked perfectly. When doing any breading like this, it’s really good to have one hand designated your “wet hand” and one designated your “dry hand.” So, one by one, use your wet hand to pick up a piece of tilapia from the egg bowl and drop it into the breadcrumbs. Then switch to your dry hand to sprinkle the bread crumbs over the tilapia and make sure its coated, and then use that same dry hand to move the coated piece onto a greased baking sheet. Make sense? Repeat this process until all of the tilapia is breaded. Don’t worry if some pieces are thinner, fatter, longer, or shorter. 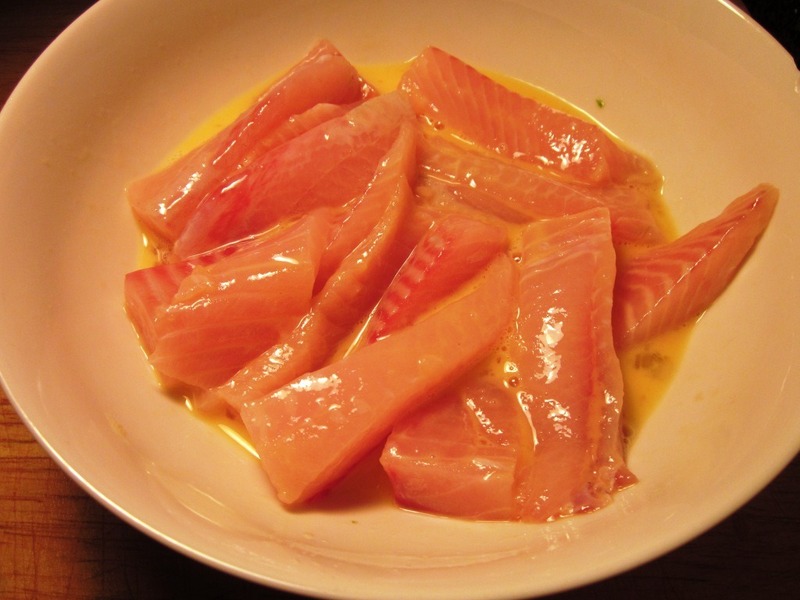 Tilapia is a pretty forgiving fish, so the cooking time is flexible. 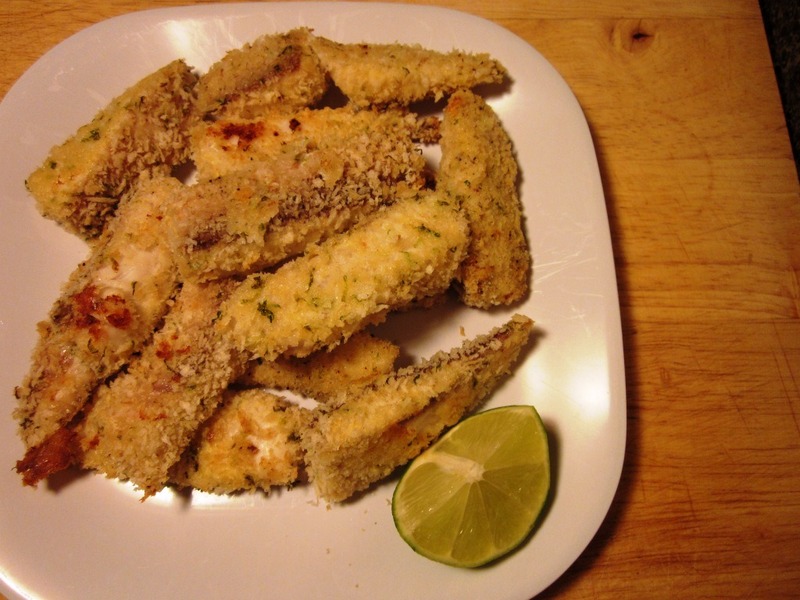 Place the breaded tilapia into your preheated oven, and cook for 10-15 minutes, turning once. Make sure your baking sheet is well greased or else the bread crumbs may stick to the pan, which mine did a little bit. You can eat the fish just like that so it’s a healthified version of fish sticks, or you can do it up and enjoy fish tacos with them like I did. 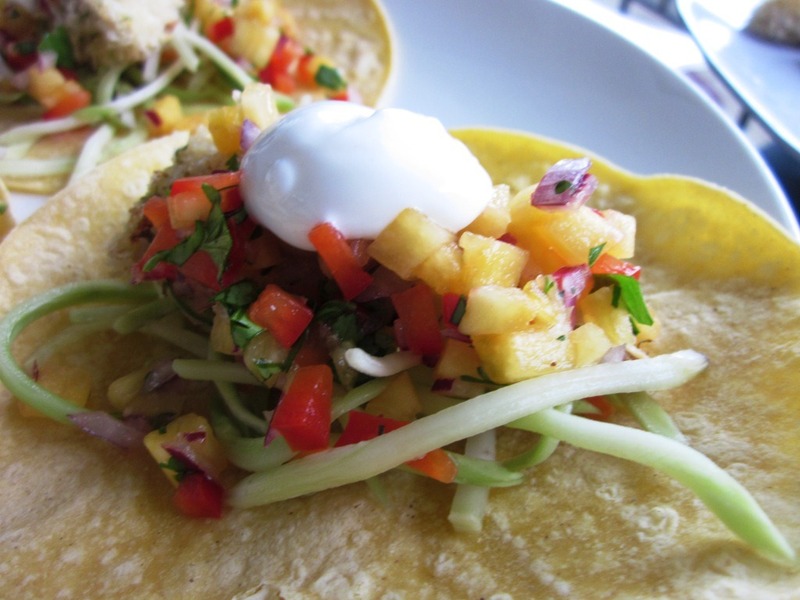 These have some broccoli slaw in lime juice, the breaded fish, pineapple salsa, and a dollop of light sour cream. The entire recipe has 15 pts+, so this plate (which was 1/3 of the fish) has only 10 pts, and it’s a LOT of food. Points aside, these are DELICIOUS and melt in your mouth good. The fish got so crunchy from baking and held up perfectly in the tacos against the other textures and flavors. The best part besides the delicious flavor? They are on the table in about 20 minutes! 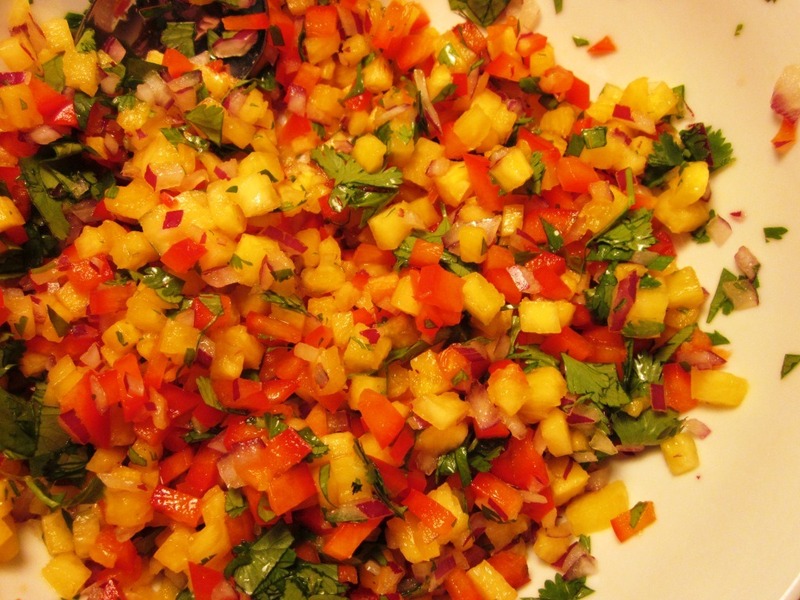 If you want a speed dinner, make the fruit salsa while the fish is cooking, and it should all be ready at the same time. Yum! 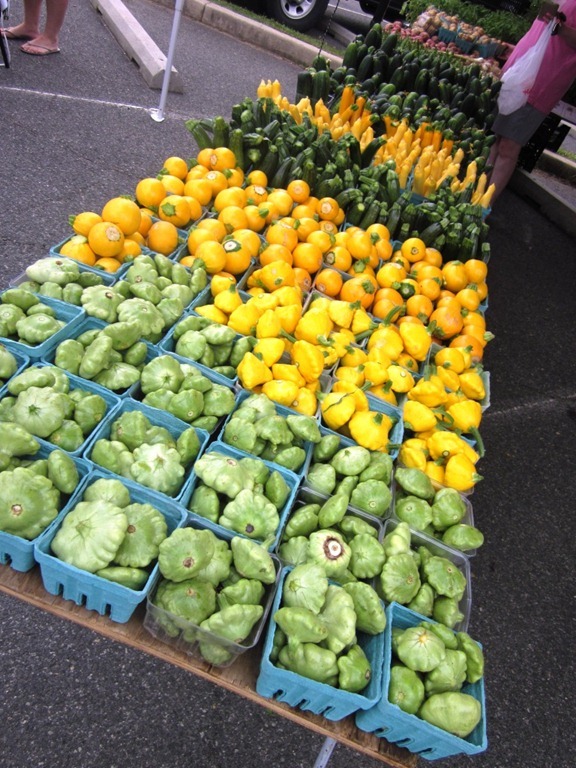 What is your favorite meal to have in warm weather? 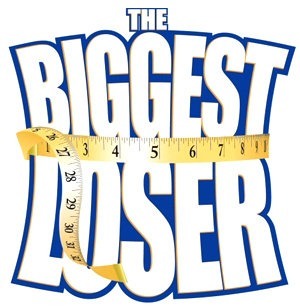 Biggest Loser: Love It or Hate It? It appears I am not the only person who likes free sh*t… keep those entries coming until midnight EST tomorrow! I have this crazy indecisive relationship with the show The Biggest Loser. Every season I am so put off by so much that happens, and vow not to watch it again the next season. Then one week (or two) goes by before the new season starts, and I find myself getting sucked back in all over again. Here’s a breakdown of why I have such a love/hate relationship with the show. I love that the contestants lose weight through exercise and a healthy diet, rather than drastic measures like surgery which many of them are eligible for. I hate the new female trainer. Her voice kills me. I love watching the contestants transform over the course of the season physically and how confident they seem at the end. I hate how the personal trainers pretend that they are therapists, but they really are not qualified to break down the contestants like they do. I hate the timeline for weight loss on the show. I think it sets very unrealistic expectations for society, when most people don’t have the time or flexibility to workout for 6 to 8 hours a day like the contestants do. I love hearing how fast the contestants sprint on the treadmills. It inspires me to run so much faster when I’m doing intervals. I hate watching the personal trainers scream into the desperate contestants faces, but I do realize it’s all for TV. I love how most of the contestants seem to make a true lifestyle change and go on to motivate and inspire others even after the show is over. I hate hate hate hearing the contestants throw a fit on the scale when they only lose a few pounds. I’ve seen some get upset with losing as much as seven or eight pounds… in one week! Outrageous. So tell me.. do you watch The Biggest Loser? What are your thoughts on the show? I like Free Sh*t: Do You? I know everyone does, but I have this slight problem where if anything is free, I feel a strong compulsion to take it even if it’s not something I need or will ever use. It’s quite similar to my compulsion to eat food when I see, even if I’m not hungry. We won’t go there today though. Before I get into the swag, know that even after an exhausting weekend at FitBloggin’, I still went grocery shopping as soon as I got home on Sunday to restock my fridge. Friday Waffle Sandwich w/PB, honey, banana Leftover pineapple stirfry Cottage Cheese + berries Tempeh Tacos? 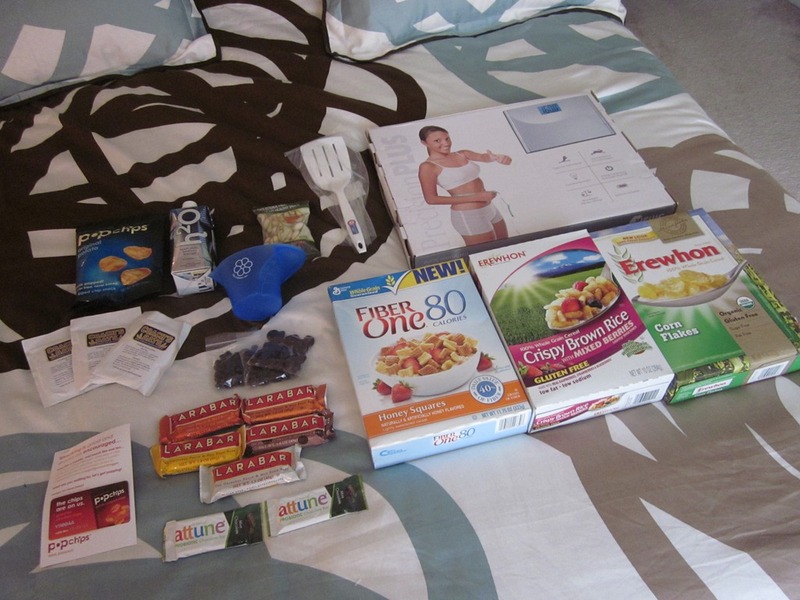 Anyways, FitBloggin’ was paradise for someone like me who likes free stuff. The difference there was that EVERYTHING that was being given out was something I wanted and could use. If you’re anything like me and are curious about everything that we got… let me break it down for you. Not everyone got 2 pairs of sneakers, but because I have exceptionally large feet, I was lucky enough to receive a second pair (size 9.5). I’ve never owned black sneakers before, and now I own two pairs! love. Plus, TONS of coupons for free food, including Eggland’s Best, attune cereals/bars, a case of popchips, and lots of other samples. 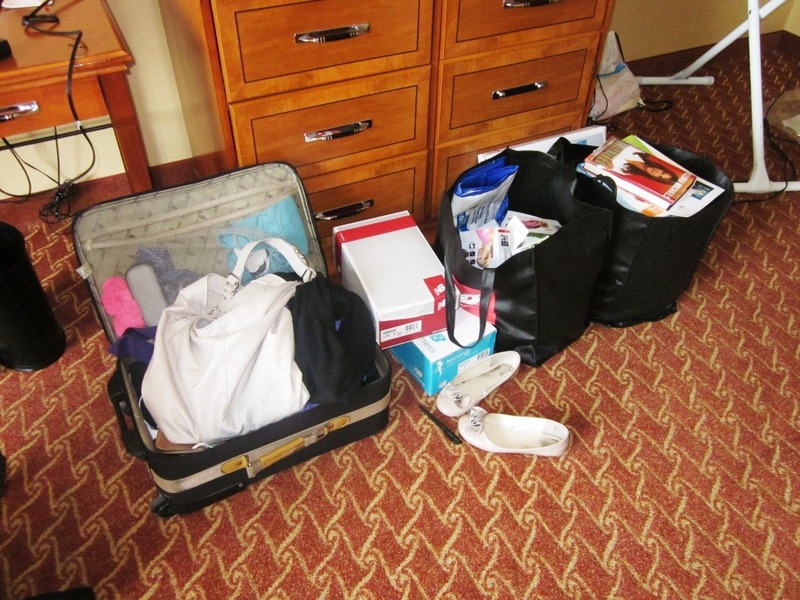 So why are there two black bags (to the right)? Well, one is for you! 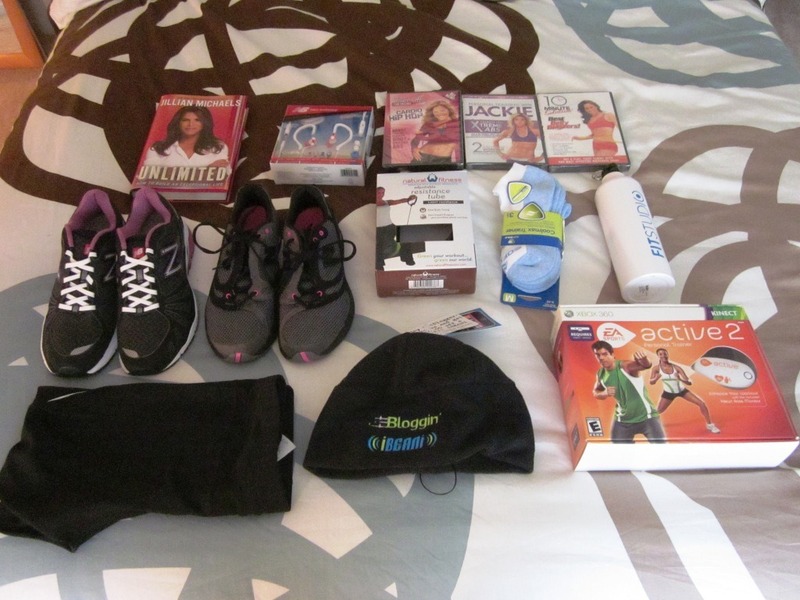 I grabbed extra things to giveaway to one reader, and it has a New Balance reusable bag loaded with lots of food coupons, two boxes of cereal, an ibeani hat, a water bottle, a zumba workout DVD, a zumba magazine, larabars, and some other random things that came in the giveaway bags. I’ll probably be throwing some extras in there beyond just what was free from FitBloggin’, so get excited. Leave a comment on this post letting me know what piece of the swag you would be most excited about. 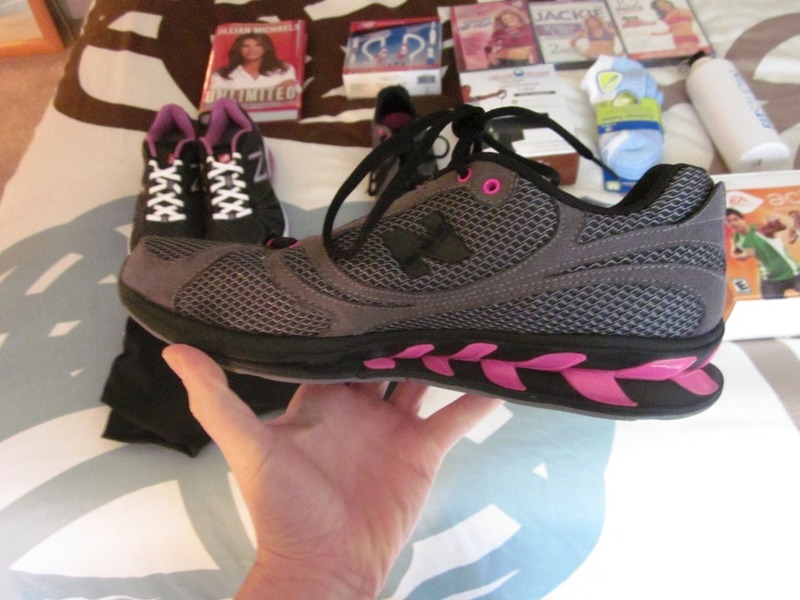 Tweet about this giveaway using #fitbloggin and @bethsjourneytt. Leave a comment telling me one question or subject you’d like me talk about on here. I honestly don’t even know where to begin! FitBloggin’ was amazing and Roni did SUCH a great job putting the whole event together. I walked away feeling so inspired, energized, and excited to be a part of the healthy living blogging world! I have so much to share, so I’m going to break a lot of it up over the course of the week. In case you’re not familiar, FitBloggin’ is a conference for health and fitness bloggers held in Baltimore, MD that has hundreds of attendees. The conference is two full days of informational sessions, as well as networking and fitness activities. There was everything from a zumba and pilates classes, to sessions on intuitive eating and branding yourself, to sponsored receptions. 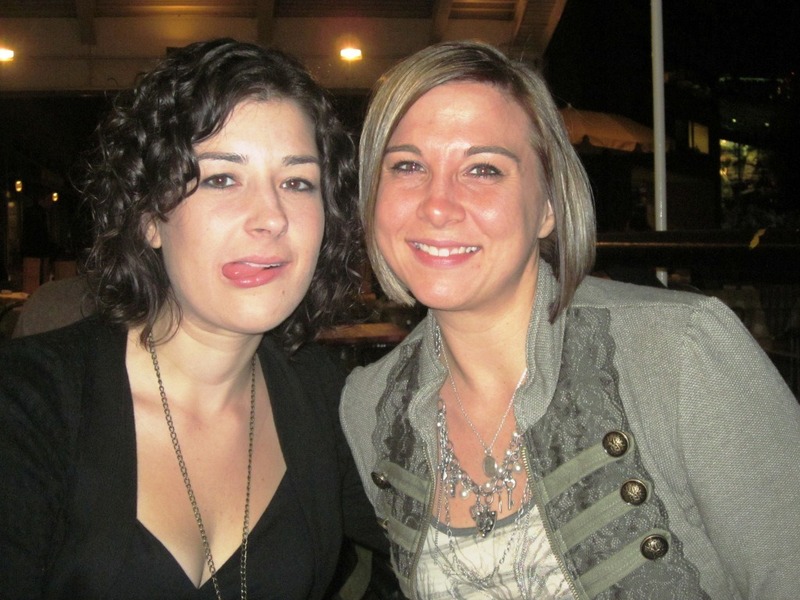 I saw a lot of people I had previously met at the Healthy Living Summit back in August 2010 in Chicago, but met SO MANY new people and it was awesome. 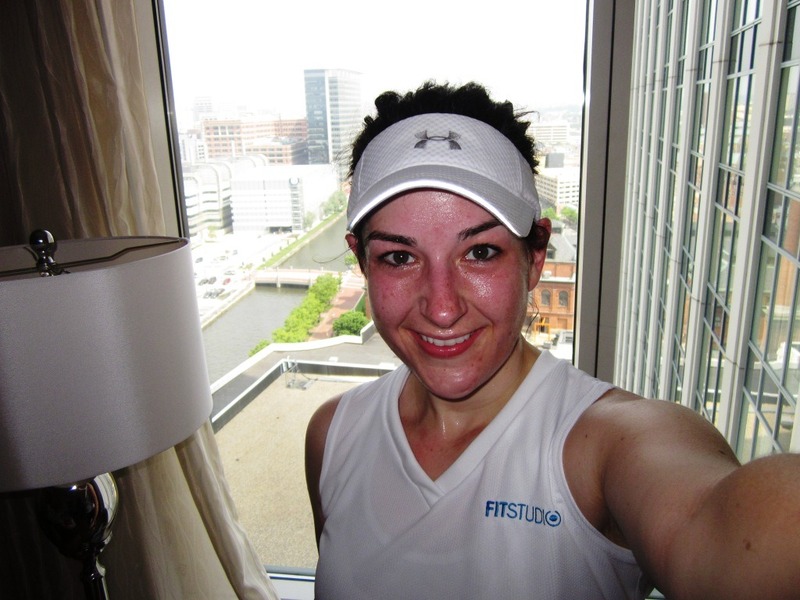 For my first FitBloggin’ recap, I’m going to share a few of my favorite things. You all know I love free stuff, and there was A LOT of it. I seriously walked away with three times as much as I came with, and I’ll do a full post on that later this week. 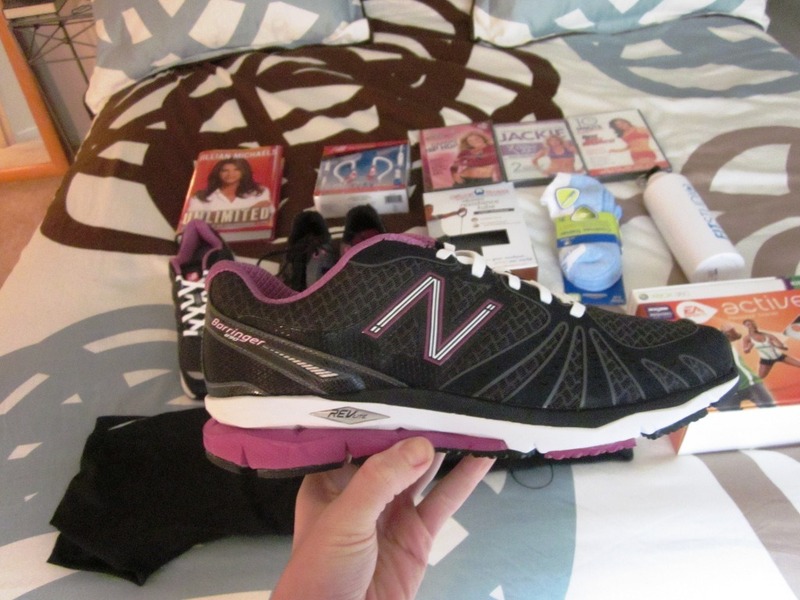 But, hands down, my favorite item was the New Balance Easy Tones! These are the new generation of shape up shoes where you work your core when you wear them, but they don’t look like orthotics with those really thick soles like a lot of them do. The sole of the shoe has a very subtle curve so you can’t tell they are shape ups unless you’re wearing them, but they’re just as effective. The idea is you engage your core to stay balanced while you wear them, so you work your body a lot more than walking around in flat shoes. I haven’t worn them much yet but I’ll let you know how they go, and I just LOVE the colors. This is a tough one. There were A LOT of really great sessions and I learned a lot throughout the conference. My favorite session though was probably the keynote panel called Blogging From Hobby to Career? The speakers were Andrea Metcalf, Karla Walsh, Kelly Olexa, and Liz Neporent, and the session was moderated by Carla Birnberg aka Mizfit. Please excuse this crappy photo but it’s all I got because I was soaking in all the information and energy! This one was my favorite because it got me really excited about being part of the blogging world. It’s such a new, cutting edge field and is just now gaining credibility and recognition as a true field for a career to stem from. The women on stage are all bloggers among other things in the healthy living/fitness world, and the energy and enthusiasm coming from the panel was contagious. You can find the liveblog (play by play) of the session here, as well as more information on the speakers. My favorite blogger group shot? Courtney (photo credit to her! 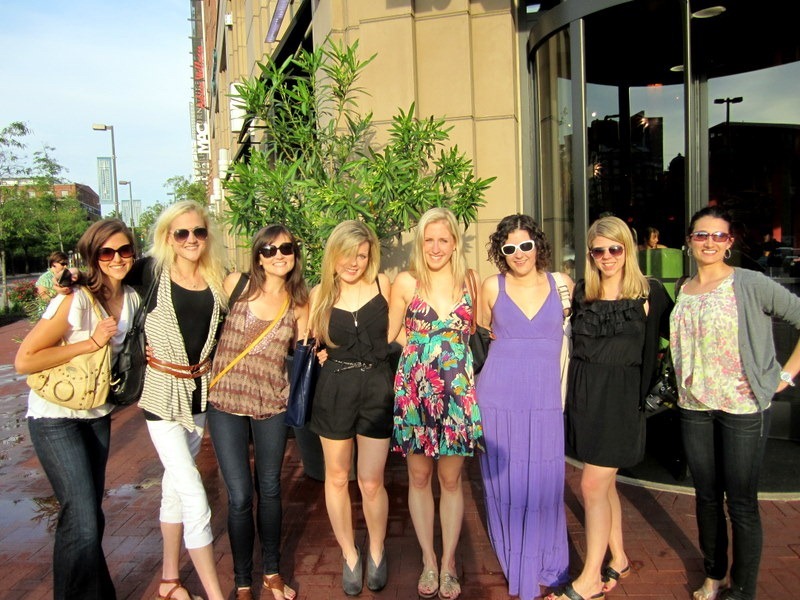 ), Jaclyn, Brittany, Gracie, Gabriella, Moi, Theodora, Nicole. Two answers here. Andrea Metcalf told me the best tip for any runner is to walk around on your heels after a run. I’d never heard this or done it before, and feels awesome after a run! It stretches out your calves, hamstrings, and the entire back of your legs, plus it prevents injury. Win-win. 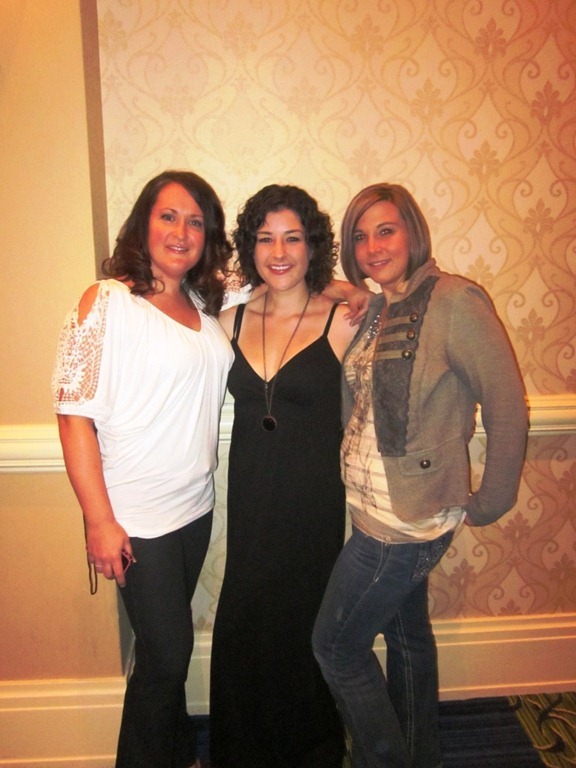 Elizabeth, Me, and Jen. I feel like I look really thin in that photo and I should have had her take a straight on shot to show the difference! My favorite picture of me being my weird self? Me and Jen, THE priorfat girl. In case you couldn’t guess it, she rocks. And I’m sure you’re probably already reading her blog, but if you’re not, go check it out. She’s extremely inspirational and very real with her writing. We got to spend a lot of time together this weekend and she was awesome! So that’s it for favorites, but I will also say that it went by SO FAST. I couldn’t believe the conference was already over on Saturday evening, and was really glad I decided to stay Saturday night too so that I could ease myself back into real life. After a late night out with some awesome bloggers, I went out for a 4 mile run around Baltimore, which was a great way to end my time in Baltimore. 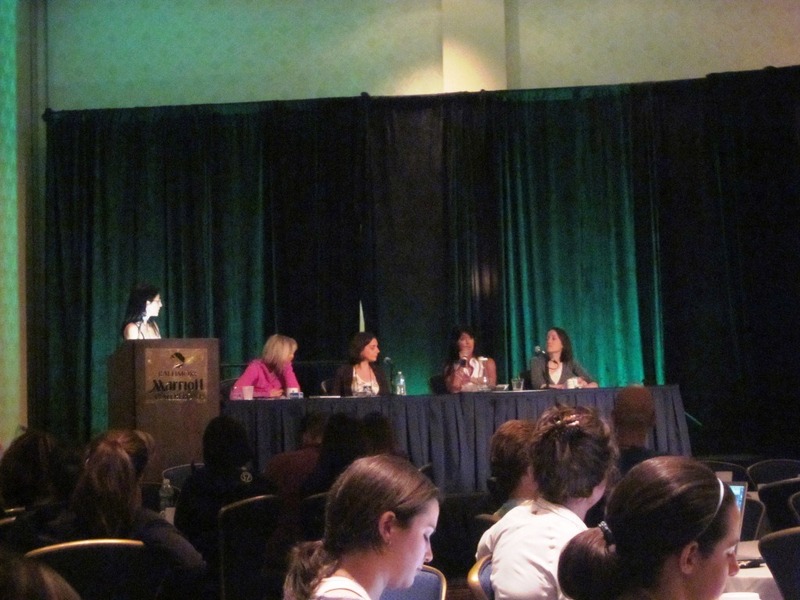 So tell me… If you were at FitBloggin’, what was your favorite part of the conference? If you weren’t there, what was your favorite part of your weekend? Around this time last year, my company had an intern who was on summer break after his freshman year of college. Several of us were in the conference working on a project together, complaining about getting old (we weren’t), not knowing what we wanted to do with our lives and how we couldn’t believe it had already been 4 years since graduating, when the intern asked the question. After the initial shock of the question wore off, we all burst into harmonious laughter. Exactly five years ago today – May 20, 2006, I graduated from the George Washington University with my BA in Psychology. It’s hard to believe how fast time goes and that it’s really been that long since I’ve been in college! Instead of dwelling on how far I still have to go in life, I want to focus on the top five things I’ve accomplished and am proud of over the past five years. 1.) Hit my goal weight. This is a recent one, but honestly, I didn’t know if I’d ever be able to do it. I’ve been overweight and then obese for pretty much my entire life, so the idea of actually having a BMI in the normal range just seems so unreal. Of course, the weight is just a symbol of how much healthier I am on the inside as well and I love all of the changes I’ve made. I worked very hard for it, and it’s something I am extremely proud of. A lot of times people email me or leave comments and assume I’ve always been a runner. This is SO not true. When I look at my list of races, I’m still kind of in disbelief with the fact that I’ve run 14, including 2 half marathons and 2 ten milers. I’m also signed up for a full marathon later this year and am somehow looking forward to starting training! 3.) Figured out that healthy living is my passion! This one is huge for me because I now know the direction I’d like my career to go eventually! They say your 20s are all about figuring out what you don’t want to do, so that in your 30’s you can pursue what you DO want to do. I’d like to use my passion for healthy living to help to motivate others to change their life and deal with the obstacles that come their way. I feel like I’m really getting there in terms of deciding on the field, but I still have to figure it out the details of exactly what I want to do. 4.) Learned how to cook. This is a major accomplishment for me because my mom and older sisters were always the cooks around my house growing up, so there wasn’t really a place for me in the kitchen. Since I moved out on my own, I had a lot of chances to experiment with cooking and have actually gotten pretty good at it! 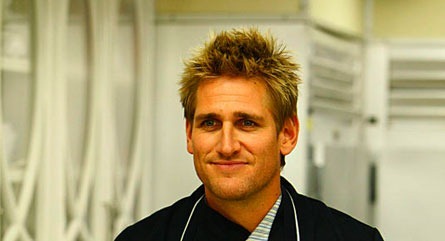 Wil has helped me a lot to learn about different cooking techniques, cutting styles, and flavor combinations, and there has also been a ton of trial and error. Coming up with my own recipes to post on here every week is one of my favorite things to do now, and learning to cook has been a vital part of taking control of my health. Beth’s Journey started as a freewebs page, and when I started writing more day to day entries in there, I switched over to this full fledge blog back in February of 2010. This site has become my main venue for doing something I’m passionate about every single day. I love writing in here, sharing my struggles and recipes, and the fact that people actually read it (still blows my mind!). Most importantly, I love all the amazing people I’ve connected with since I started it from other bloggers, to readers, to the people I’m probably hanging out with right now! It’s driven me to pursue my goals even further and has served as a great tool to keep me on track with leading a healthy life. I can honestly say that this is something I am very proud of. I’ll also say that it takes a lot more work than I expected when I first started it and has turned into a very low-paying part time job ;), but I wouldn’t change a thing. What about you? What is something that you are very proud of that you’ve accomplished in the last few years? 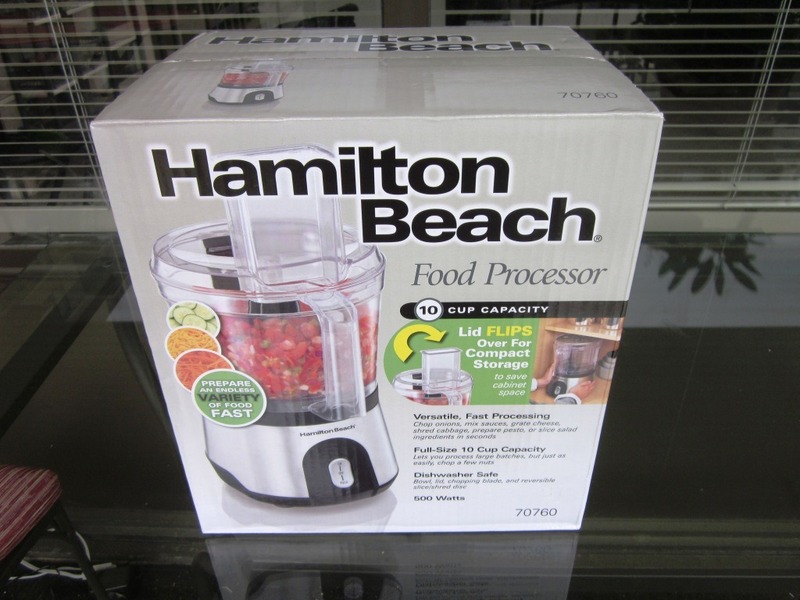 A new food processor!!! 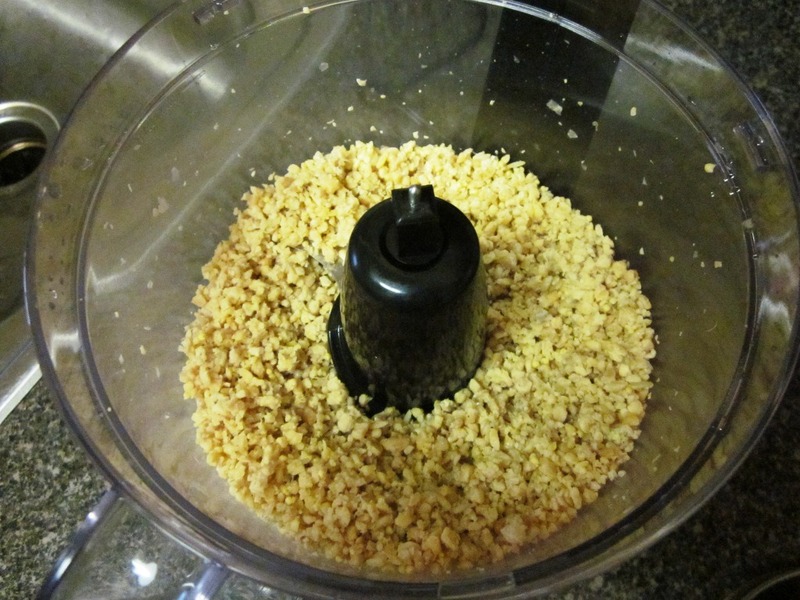 When I was dreaming up this maple apple tempeh burger recipe and thinking about how many things I needed to grate and chop, I realized today would be the perfect day to pick up a full sized food processor. This one was on sale at Target for $44.99 and on amazon for the same price (with free shipping) and WOW it’s amazing. While we’re out here on my balcony, let me show you something else. Ok, sorry for the tangent. Back to the task at hand. Entire recipe has 20pts+. If divided into 6 patties, 3 pts+ each. Printable version here. 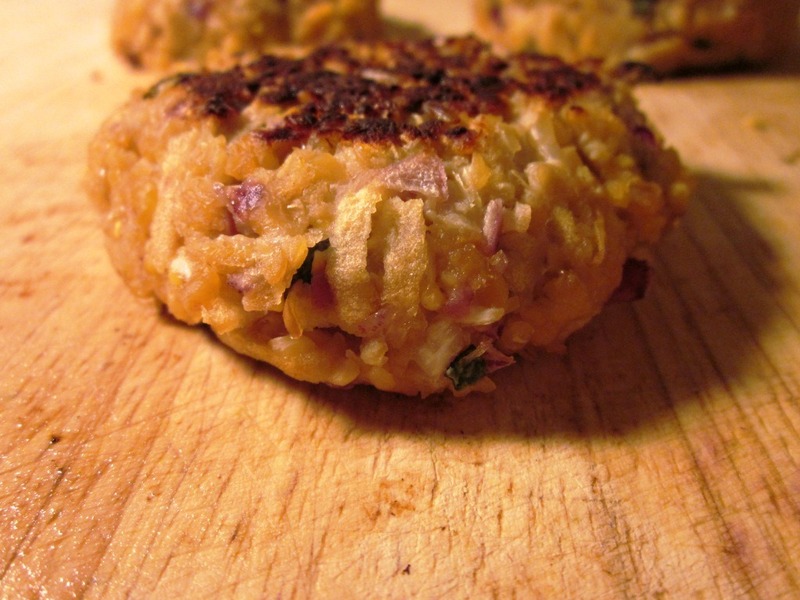 This recipe came to be when I was trying to figure out a fun new way to make tempeh. 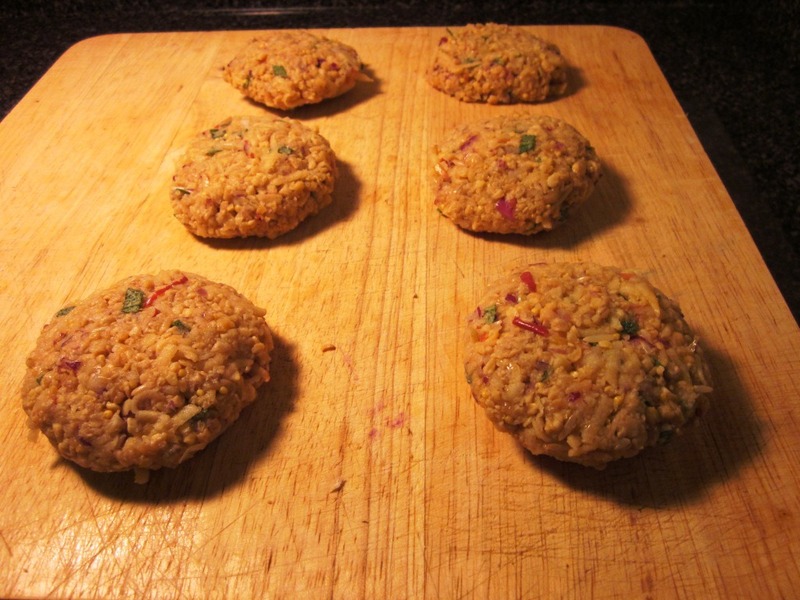 When I thought about how well it grinds up for my tempeh taco recipe, I realized these crumbles would make a perfect base for a burger. 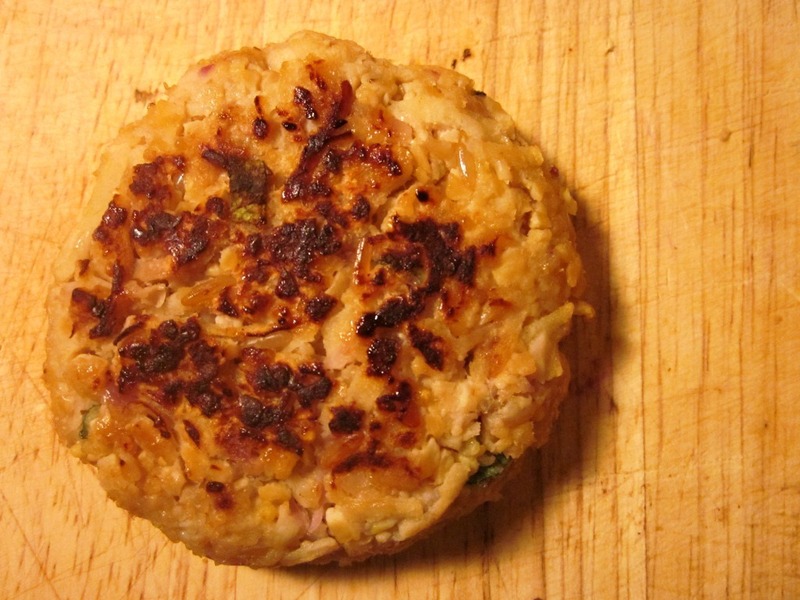 I googled and was surprised that there were very few tempeh burger recipes out there, so I knew it was my duty to come up with a delicious version to share with you guys. But I’ll draw it out for you as a favor. In under 10 seconds. No joke. in 5 seconds. CRAZY. Ok, I’ll stop. Combine all your ingredients in one bowl. 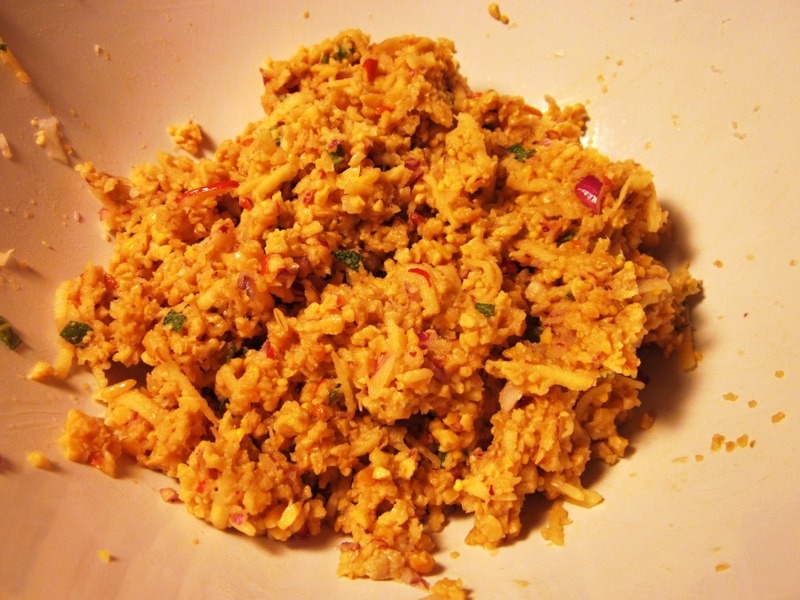 Grated tempeh, bread crumbs, grated apple, egg, chopped red onion, chopped sage, Worcestershire sauce,and maple syrup. Stir it all together. 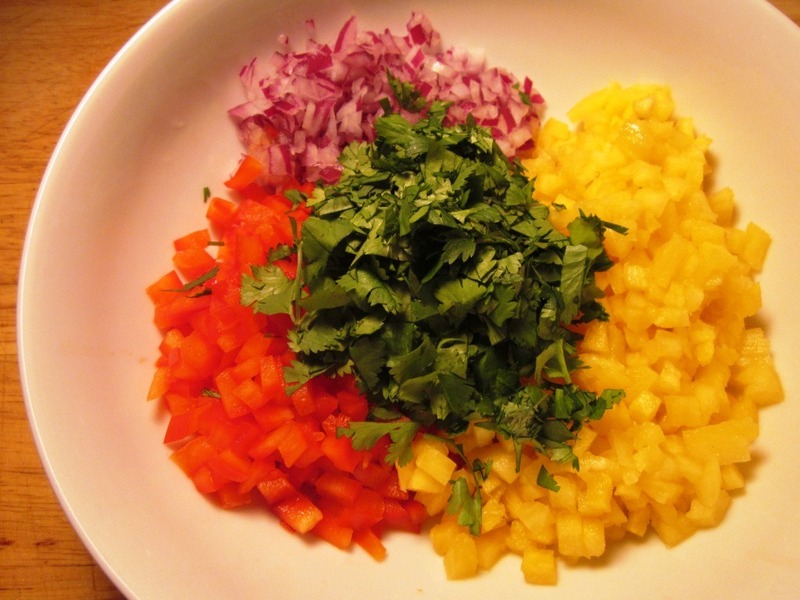 These are so pretty looking even before you cook them from all the different colored ingredients. 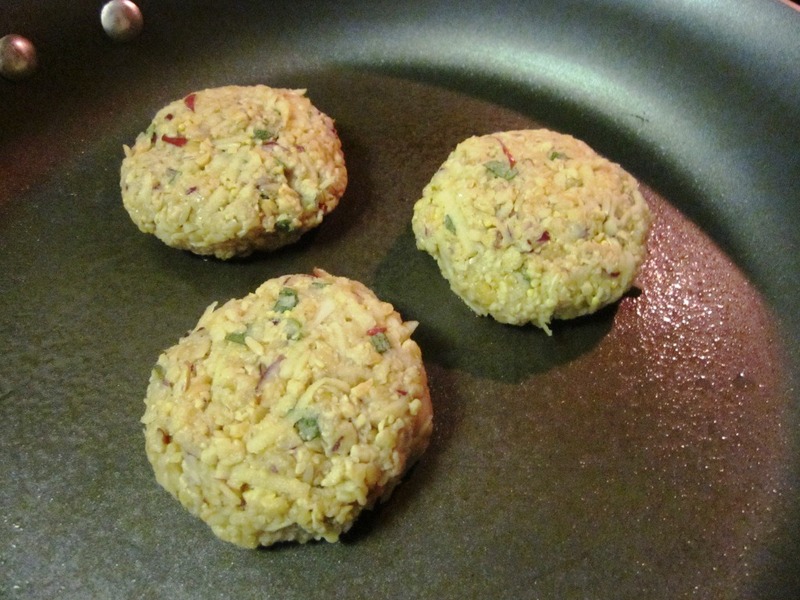 Last step – pan fry them. I just used nonstick spray and placed them in once the pan was heated up. About 4-5 minutes per side over low heat, then flip and repeat. The textures and flavors going on here were AWESOME. I loved how the maple syrup, while subtle, complimented the tempeh so well. 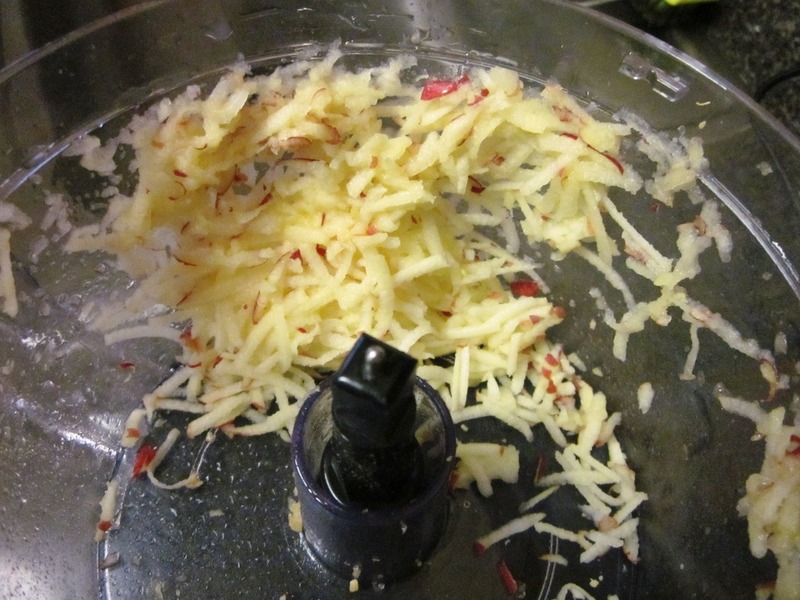 The grated apple added a delicious sweetness and great texture throughout the burgers as well, and they were so delicious. I whipped up a quick sauce with 1/3 cup greek yogurt, 1 tbsp maple syrup, and 2 tsp dijon mustard (2 pts+ for the whole thing, I used half) and it was PERFECT with the burgers. The plan was to eat 2 for dinner, but three may or may not have been consumed because they were so tasty. 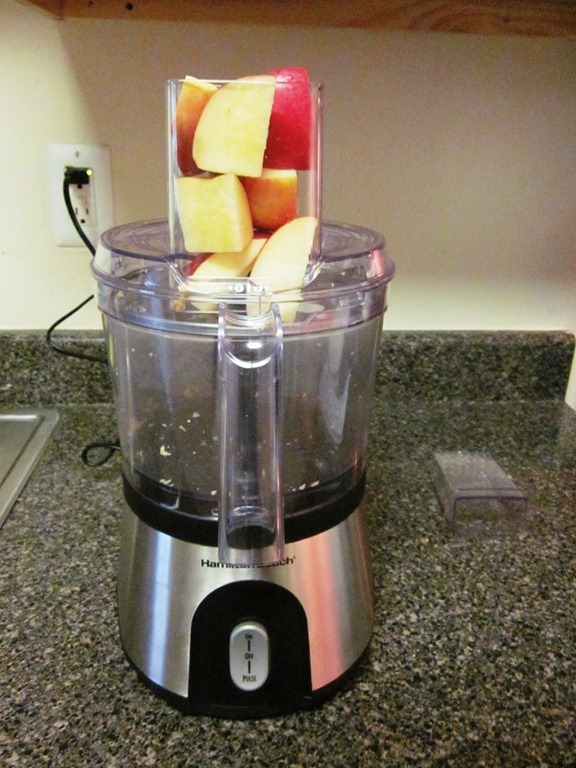 What is your absolute favorite kitchen appliance? Before last night, I probably would have told you my stick blender or my tofu press (though I don’t know if that really counts as an appliance). 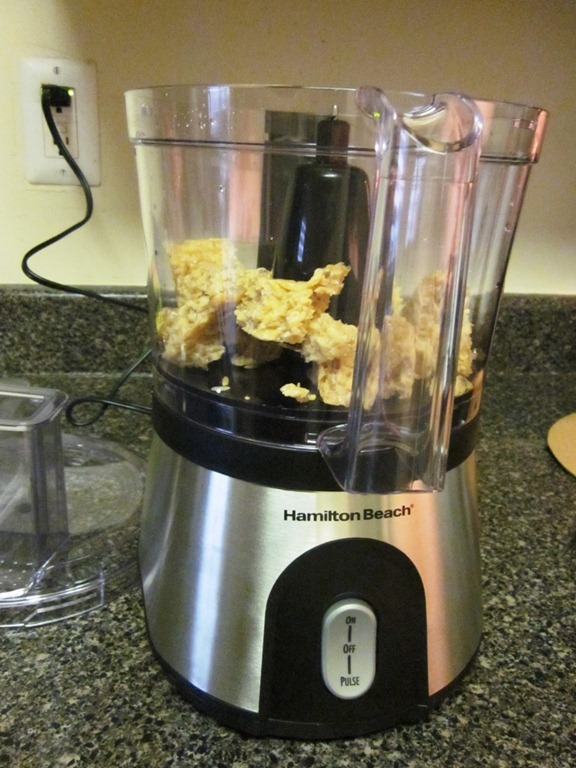 But now, I’m heavily leaning towards my food processor. I can’t wait to experiment with different things! It’s just funny because I think I am probably the last person on earth you want to take financial advice from, but because there’s been so much interest, it’s time for the next post of this series – a list of tips on saving money while still leading a healthy life. It’s very easy to assume that eating well and exercising costs a lot much money, and if you don’t put a little time in, you shop at expensive health stores without a list, and you buy every new gadget for working out that you see on the internet, then yes, it can be expensive. 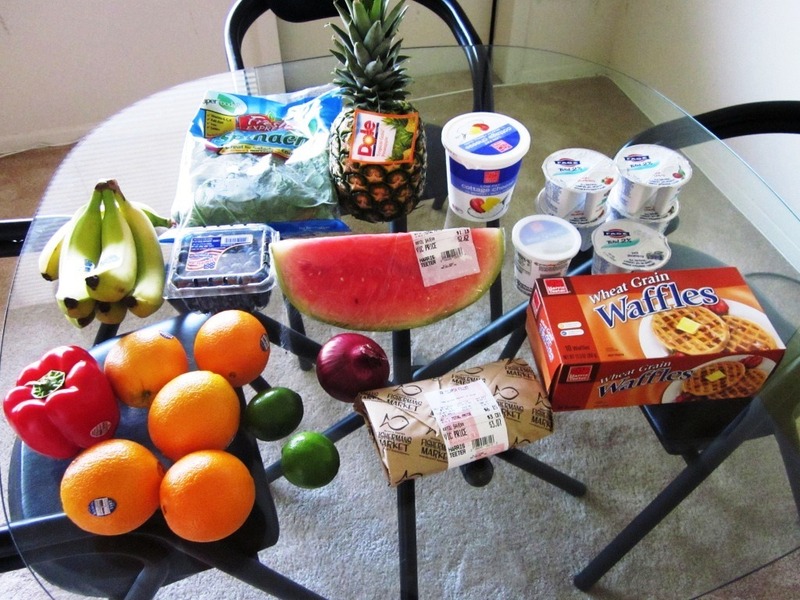 However, with just a little thought and planning, you can still live a really healthy life and do it on the cheap. Here’s my top ten tips! I know. You don’t want to hear it, but I promise you – planning your meals will save you SO much money. And you don’t have to be as obsessive as I am with meal planning, you can just plan out 2-3 dinners a week to start and make enough for leftovers for lunch. Planning your meals will save you tons because you won’t be buying things you don’t need, you won’t be letting food go bad and throwing it away, and you’ll have leftovers to bring for lunch… which brings me to tip #2. 2.) Bring your lunch to work. Every day. Just do it. I’ve heard so many people complain about having no money, yet each day I watch them go out and buy their lunch. If you don’t feel like packing your lunch each day, bring in a loaf of wheat bread, a bag of salad, a pack of turkey or other deli meat, and you can eat that all week for lunch. Keep some whole fruit, a few cans of soup, and a bag of almonds at your desk for snacks. If bringing your lunch to work every single day is unreasonable for you, bring it 3-4 days a week and treat yourself to lunch out once or twice a week at the most. This one will add up big. 3.) Make coffee at home! 4.) Take advantage of living social, groupon, and buywithme, but have your limits. I found a really cool one recently called Zozi, which focuses on fitness/outdoor adventure deals for active people. Just be careful you’re not overbuying these things and purchasing deals you wouldn’t otherwise. I get lots of healthy restaurant deals, running store gift certificates, and other fitness deals to places I’d go anyways or exercises I’d purchase at full price. The best one I’ve gotten lately was $20 for 6 yoga classes right in my neighborhood! I’ve already been twice, have signed up for the other four, and am LOVING it. If you hate getting these emails, there are sites that aggregate all the deals for your area so you just have one email in your inbox with everything (like this one). 5.) Make healthy dates with friends! Instead of going out to the bar for happy hour, invite one (or a few) friend over for a healthy date. Go for a power walk, a run, or work out in the gym if you have one, and then make a healthy dinner together. If it’s several friends, do a potluck and put each person in charge of one thing while you make the main dish (salad, veggie, WINE). You get to hang out with friends, be healthier, and save money. Check, check, check! I am not preaching here, I’m just saying – non meat sources of protein are WAY cheaper than meat, especially if you’re going for organic, free-range, or local meat. You can get a pack of organic tofu for under $2 which has 4-5 servings, whereas organic chicken will cost you closer to $8-$10 a pound. Beans cost around $1 for a pound and under $1 for a can if you’re not up for soaking them. Lentils are also a great meat replacer. 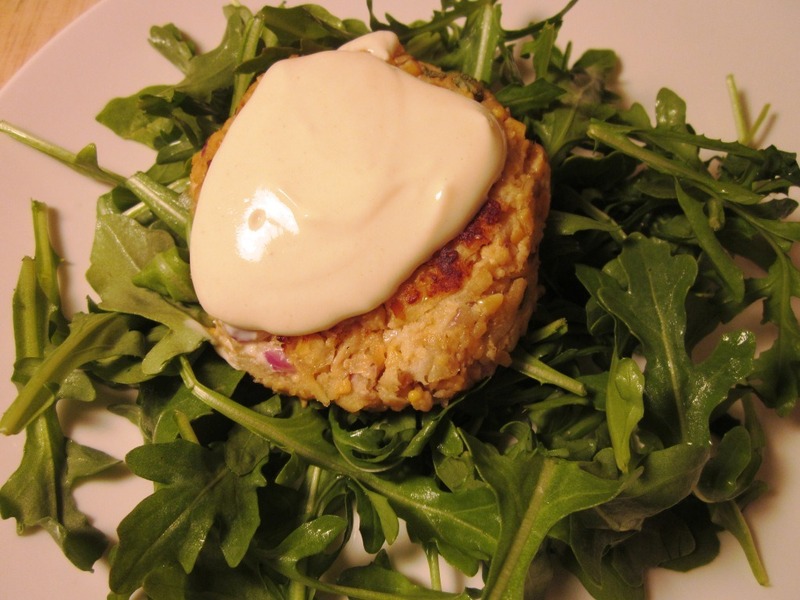 If you’re a big meat eater now, just try doing a meatless dinner 1-2 nights. My Mexican Casserole or Lentil Loaf are two great examples of meat-free dishes where you won’t miss it! 7.) Check out your Local Parks and Rec. This is pretty new to me, but a lot of cities and towns offer adult classes through their local Parks and Rec. I always thought most of the offerings were for kids, but they have a ton of things for adults too. The link to my local P&R is here (Arlington, VA) and they offer things like Zumba, Yoga, Swimming, Aerobics, and a variety of other classes for a fraction of the price as taking these classes elsewhere. 8.) Buy things in bulk. 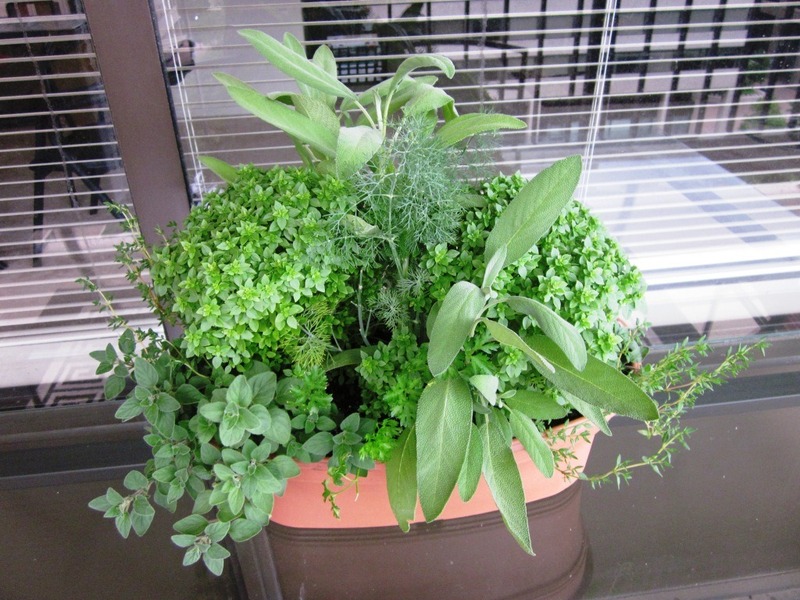 Don’t skip these when you come across them at a store even though they can be intimidating! There are tons of organic products you can buy for under $2 or $3 per pound, and you can get just how much you need rather than a huge package to limit your spending. Some of the best deals I’ve found include quinoa, wheat berries, raisins, almonds, walnuts, steel cut oats, rolled oats, brown rice, lentils, black beans and kidney beans. 9.) Never go somewhere without a list. Target, Whole Foods, TJ Maxx, any grocery store. Just don’t do it. Even if you don’t 100% stick to the list, don’t wander into a store without a plan or you’ll be buying things you don’t need slash maybe can’t afford. 10.) 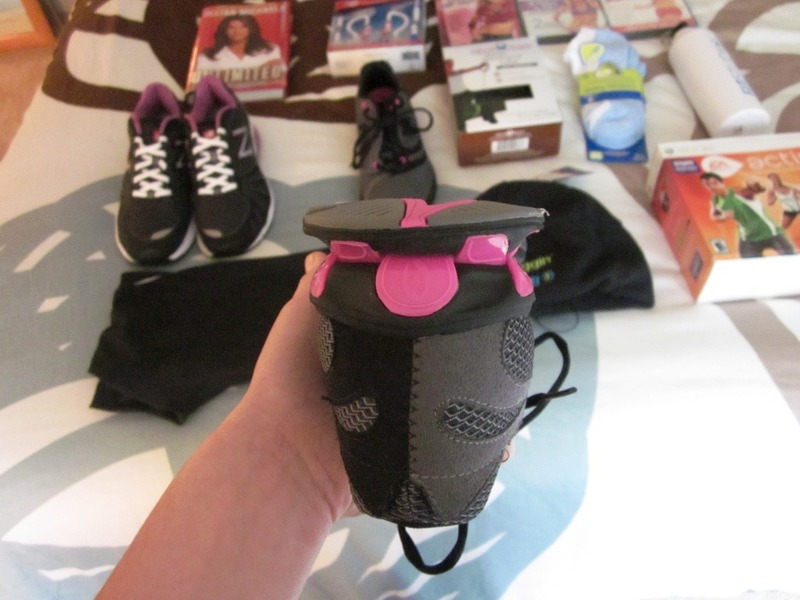 Ask for fitness/health related gifts for your birthday/holidays! I don’t know about you, but my family ALWAYS asks me for ideas for things I want for my birthday or Christmas and I can never think of anything good to tell them. Ask for fitness related things you want rather than saying “I don’t know..” or picking things you won’t use! Last year my sisters bought me some amazing yoga pants from Lululemon that I would never have bought for myself, but they are my absolute favorite pair of bottoms to workout in. I’ve also gotten a water belt, CamelBak, sports bras, dry wick tops, and various other fitness related items for birthdays/holidays. I’m always happy to have those things rather than other random items I come up with to ask for. What’s your #1 tip for living well on a budget? While I think the eye roll that I’m met with every time I say “Weight Watchers is a lifestyle change, not a diet” may be well deserved because of the sheer number of times that everyone has heard it, I do think that statement is extremely valid. During the two years, two months, and nine days (but who’s counting?) that I followed Weight Watchers to LOSE weight, I’ve ingrained so many healthy lifestyle changes and have totally transformed the way that I live my life. If I’m being honest, transitioning into maintenance mode is quite scary for me, almost more so than losing the weight. For as long as I can remember, I’ve always wanted the number on the scale to go down when I stepped on it, so there is a certain comfort and familiarity with being in weight loss mode. Looking for the scale to stay the same when I step on it is something that is going to take me a while to adjust to because it is so new. So… how will things change now that I’m moving into maintenance mode? Despite the excited twinkle in Wil’s eye when I told him I get to eat a bit more now, the truth is that not much will change. I’m going to continue to work out 3-5x a week and eat mostly the same things, just with a few more indulgences here and there, but more on that later. If your weight stays the same, you stick with 35 pts a day. If you gain weight, you reduce to 32 pts a day. If you lose more, you up your target to 38 pts a day. After making the necessary adjustments and maintaining for 6 weeks within 2 lbs of your goal weight, you become Lifetime, which means you only have to weigh in once a month, rather than each week. This means I have to stay between 162 and 166 (since my goal is 164) for those 6 weeks. If I want to lose more after I become Lifetime, I can do that, but for now, my goal is to stay within those parameters. I’ve only been in maintenance mode for less than a week so this may be premature, but I have to say that so far I’m really loving it. The 35 points a day feels like a lot and makes me feel a sense of freedom with eating. Since I’m mostly eating the same things, I’m just making small swaps and additions to account for those extra points. For example, Sunday night I made a huge version of the Mexican Casserole with 33 points total. Instead of dividing it into 6 (still good sized) servings with 6 pts each, I divided it into 4 servings with 8 pts each. I’ve also been eating regular peanut butter or almond butter instead of peanut flour mixed with water, have been using half and half in my coffee instead of skim milk, and have been using olive oil a bit more liberally than I have in the past. These small indulgences and additions are how I want to proceed with maintenance, because it’s still within the framework of what I know and what works for me, but just with a bit more flexibility. I’m continuing to weigh/measure my food when I can, and I’ve been eating the full 35 pts each day, so we’ll see what the scale says when I weigh in on Thursday. I’ve weighed myself on my at home scale and the numbers are staying about the same – yesterday morning it was 164.2, which is up a bit from Thursday’s weigh in but that’s OK because it’s still in the range. I love how the WW maintenance system is designed because it doesn’t feel too different than the regular system. I don’t feel like I’ve worked to get to a goal and now I’m on my own without a plan or any guidance. That said, I do hope that one day I’ll be able to just listen to my body and stay at a healthy weight. However, I know myself and today is not that day. I’m curious about your thoughts on tracking points/calories to maintain your weight v. intuitively eating. For those of you already in maintenance mode or who haven’t needed to lose weight, do you have any thoughts or tips on weight maintenance and what your strategy is? If you’re not yet at goal, do you see yourself struggling with this transition?